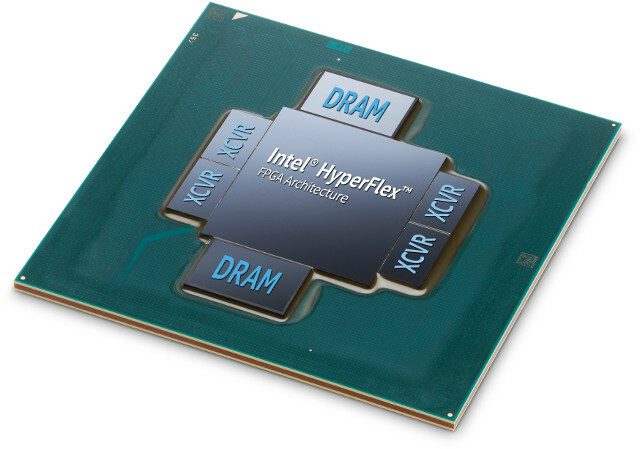 Intel started sampling (Altera) Stratix 10 ARM + FPGA SoC in late 2016, and now the company has announced the availability the new Stratix 10 MX FPGA family wih High Bandwidth Memory DRAM (HBM2). The latter allow Stratix 10 MX FPGAs to offer up to 10 times the memory bandwidth when compared with standalone DDR memory solutions. The higher bandwidth will be useful for multi-function accelerators for high-performance computing (HPC), data centers, network functions virtualization (NFV), and broadcast applications. Apache Kafka and Apache Spark Streaming are example of HPC applications that benefit from the higher bandwidth. Intel claims Stratix 10 MX can provide up to 512 GB/s with the integrated HBM2. 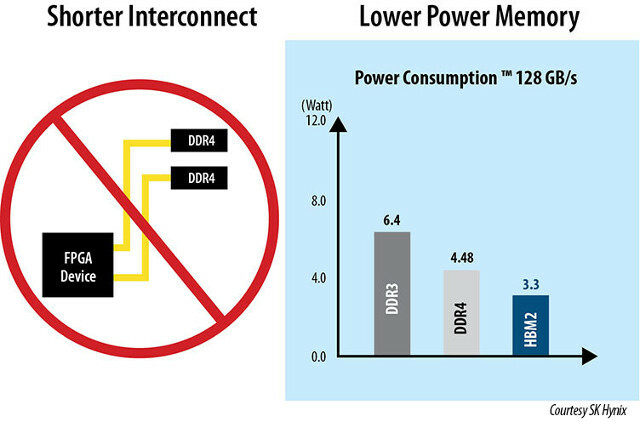 As shown on the diagram above, HBM2 should also consume less power than DDR4 or DDR3 external memory. More details can be found on Altera Intel Stratix 10 MX FPGA product page. But did you see the price?